Groupe Doo Wop US originaire de Chicago (Illinois) et formé en 1953. 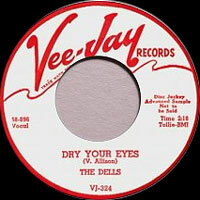 Les "Dells" ont débuté en 1954 chez Checker Records sous le nom de "El-Rays" et comprenait Johnny Funches, Marvin Junior, Verne Allison, Mickey McGill et Chuck Barsdale. L'année suivante, ils prennent le nom de "Dells" chez Vee Jay (55). Ils passent ensuite chez Argo (62) avant de revenir chez Vee Jay, puis chez Cadet (69). The Dells are one of the finest and longest-lived R&B Vocals groups in history, and what's most amazing is that they've done it with nearly all the same members -- they haven't changed personnel since 1960. They were one of the very few doo wop outfits to successfully update their sound, finding their strongest commercial niche in the late '60s and '70s as a polished smooth soul harmony group. While their chart fortunes have certainly fluctuated over the years, they remained a viable act right up into the '90s, by which time they had long since achieved legendary status in the R&B community. 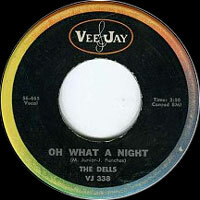 The Dells were formed in 1953 in southern suburbs of Chicago, specifically the town of Harvey, IL, where all the members attended high school together. The original lineup featured lead baritone Marvin Junior, lead tenor Johnny Funches, tenors Verne Allison and Lucius McGill, second baritone Mickey McGill, and bass Chuck Barksdale. 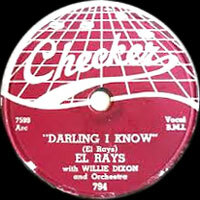 Initially called the El-Rays, the group recorded their first single, "Darling I Know," for Chess Records subsidiary Checker that year; it flopped. Lucius McGill departed not long after, and wasn't replaced, cutting the group down to a quintet. 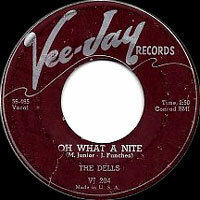 Newly christened The Dells, they got another shot in 1955 when they signed to Vee Jay. 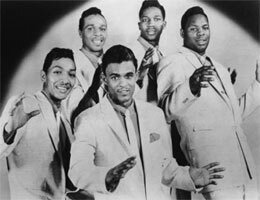 They had a minor R&B hit with the ballad "Dreams of Contentment" that year, but really scored big in 1956 with the doo wop classic "Oh What a Nite," which featured Funches singing lead and went Top Five on the R&B charts. 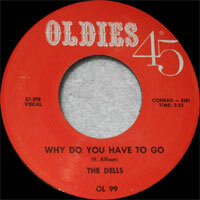 Thus established, The Dells hit the road, although they found it difficult to duplicate their chart success. Tragedy nearly struck in 1958; on their way to a gig in Philadelphia, the body of the group's station wagon failed, resulting in a serious accident which lacerated Junior's larynx (slightly altering his voice thereafter) and nearly cost McGill the use of his leg. The Dells went on hiatus to recover; in the meantime, Barksdale became a temporary member of the Moonglows, where he sang alongside Marvin Gaye. 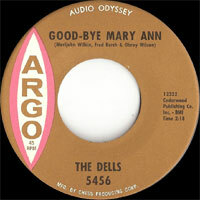 The Dells reconvened in 1960 and successfully auditioned to tour with Dinah Washington, as both her opening act and backup group. Funches, however, was tired of touring and decided to stay home with his family, which would be the last time any member left the group. He was replaced by lead/falsetto tenor Johnny Carter, a former member of the Flamingoes. 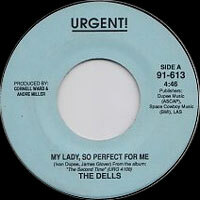 Working with Vocals coach Kirk Stewart, The Dells perfected the more challenging art of jazz harmony singing. They toured with Washington for two years, subsequently signing with the Chess subsidiary Argo and releasing four jazz-flavored singles, all of which tanked. They returned to Vee Jay in 1964 and began recording R&B again, though their local nightclub act centered more around jazz; 1965 brought them a Top 30 R&B hit with "Stay in My Corner," their biggest success since "Oh What a Nite." 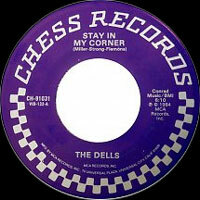 However, Vee Jay went bankrupt in 1966, and The Dells returned to Chess for a third time, this time the Cadet subsidiary; their first two singles, "Thinking About You" and "Run for Cover," became local hits. Also in 1966, The Dells became Ray Charles' touring Vocals backup, giving them an opportunity to sing in some of their biggest concert venues yet. Cadet was where The Dells' career really started to take off. In 1967, the label assigned producer Bobby Miller and arranger Charles Stepney to handle the group, and they began to exploit the striking contrast between Junior's earthy baritone and Carter's luminous falsetto, adding lush orchestrations and plenty of horn charts. The Dells' first album under the Miller-Stepney aegis, There Is, was a smashing success, spawning no less than four hit singles including an expanded remake of "Stay in My Corner" that topped the R&B charts and went Top Ten pop. 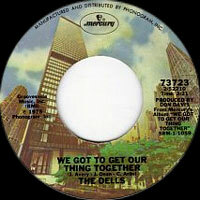 Suddenly the group was bigger than they'd ever been; their follow-up album, 1968's Always Together, spun off another four singles. 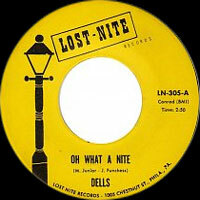 1969's Love Is Blue gave them another R&B number one and pop Top Ten with a remake of their '50s classic "Oh What a Nite." 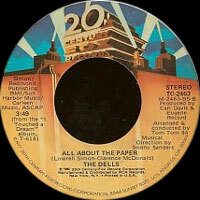 Miller moved on to other projects in early 1970, and Stepney became The Dells' producer on the following year's Freedom Means, which featured the hit ballad "The Love We Had (Stays On My Mind)." After a Dionne Warwick repertory album in 1972, Cadet hired Don Davis as the group's new producer, which paid immediate dividends in the form of The Dells' first certified million-selling single, 1973's "Give Your Baby a Standing Ovation." 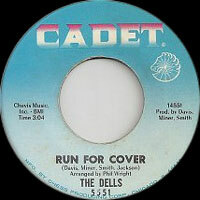 After a few more hits with Davis, The Dells left Cadet in favor of Mercury in 1975. 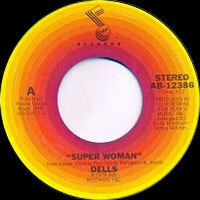 Although the group's production kept pace with the times, incorporating nods to disco, their Mercury stint wasn't as successful, and they switched labels again in 1978, jumping to ABC for a couple of albums. It seemed their career momentum had stalled, at least until 1980's I Touched a Dream LP, recorded for 20th Century. Produced by the Chi-Lites' Eugene Record, I Touched a Dream recaptured The Dells' old magic, and was greeted with enthusiastic reviews. The follow-up, Whatever Turns You On, wasn't quite as successful, though, and The Dells wound up spending a number of years off record, returning with a little-noticed old-style soul album in 1988's The Second Time. It looked as though they might be consigned to the oldies circuit until filmmaker Robert Townsend approached them to serve as consultants on his movie about a fictional Vocals group, The Five Heartbeats. 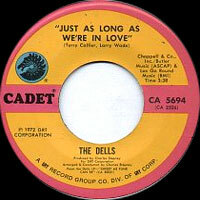 The Dells recorded a song called "The Heart Is a House for Love" for the soundtrack, which became a left-field R&B chart hit when it was released as a single in 1991. That led to a new album for Zoo in 1992, I Salute You, which attempted to mate The Dells' sound with urban contemporary and new jack swing production; however, it wasn't a hit, and the group returned to touring. Former lead singer Johnny Funches passed away in 1998, and Verne Allison underwent a successful triple bypass in 2000, the same year The Dells released Reminiscing on the revived Volt label; it was their first album of new material in eight years. Talents : Johnny Funches : Lead Tenor - Marvin Junior : Lead Baritone - Verne Allison : Tenor - Mickey McGill : Second Baritone - Chuck Barsdale : Bass. 1978 SP WARNER BROS. 8606 (US) . Love Island / ? 20007 CD UM3 (?) . 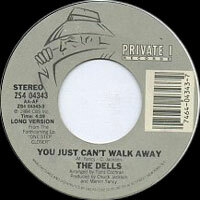 01/1994 CD VEE JAY 720 (US) [scheduled to be released in January, 1994, but cancelled] THE DELLS - VOL. 2 - YOU GOTTA HAVE SOUL - Movin' On / A Distant Love / Shy Girl / Let's Do It Over / What's The Use/Swingin' Teens / ..